Daystar's Greasable Super Shackles are the ultimate shackle upgrade for maximum strength and durability. 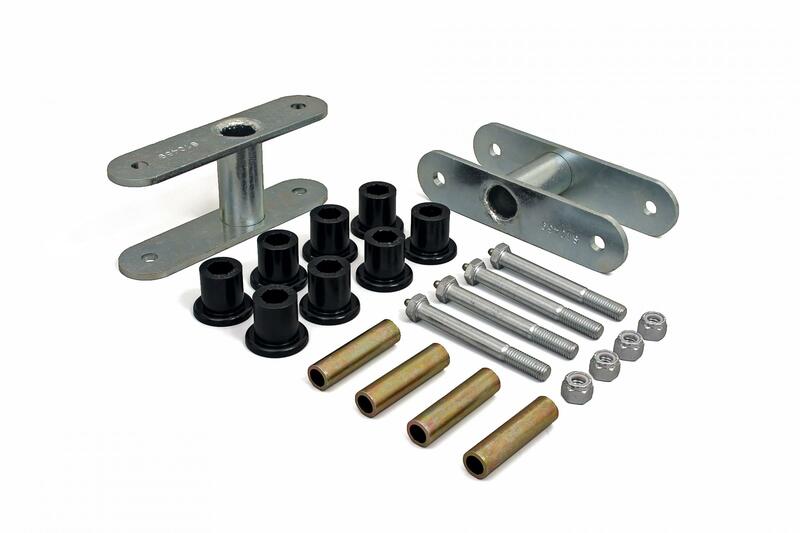 They include replacement bushings, sleeves, and gun-drilled bolts with an easy-to-access grease zerk for convenient servicing. Non-greasable versions retain the factory bushings and do not include hardware.